Rick Fines is an engaging storyteller and songwriter. 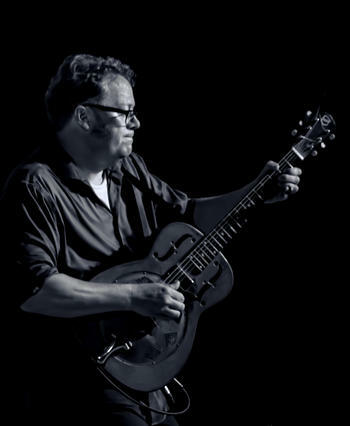 He has won Maple Blues Awards for Songwriter of the Year and Acoustic Act Of The Year (twice), won first place in the blues category of 2003 International Songwriting Competition, with B.B. King one of the judges, received nominations from both the Juno and the Handy Awards, played for legendary blues piano player Pinetop Perkins. Rick toured from Newfoundland to B.C. to the Arctic last year alone. Rick has just released "Driving home" All original, upbeat and optimistic, this is a more electric, bigger production featuring his best writing to date. Soulful and easy-going roots and blues, built on relaxed grooves and thoughtful writing. “A musician from the "Great White North" won the hearts of the festival audience, taking home a check for $1,000 as winner of the competition.Rick Fines of Peterborough, Ontario, won the top prize with his unique guitar styling, sly tongue-in-cheek humor and a distinctive voice, described by audience members as "a mix of Leon Redbone and Randy Newman." – Angie Long, Greenville Advocate, Alabama.